Let’s Follow Brandon’s FIRST 1/2 Marathon! OK, so you may ask, who is Brandon? • Building an open source, secure data platform for diabetes data. • Building great apps to help reduce the burden of Type 1 Diabetes. mission of helping everyone with diabetes. Brandon was diagnosed at age 27 with Type 1 diabetes and has developed a new generation diabetes app, “nutshell,” that gives patients the information they need to make the right decisions about their dosing strategies. Brandon has become an outspoken member of the patient community, advocating greater access to data and the expanding role of software in health management. As VP of product and business development at Tidepool, Brandon is focused on making diabetes technology smarter and more accessible to patients everywhere. Plus he is a VERY COOL GUY! 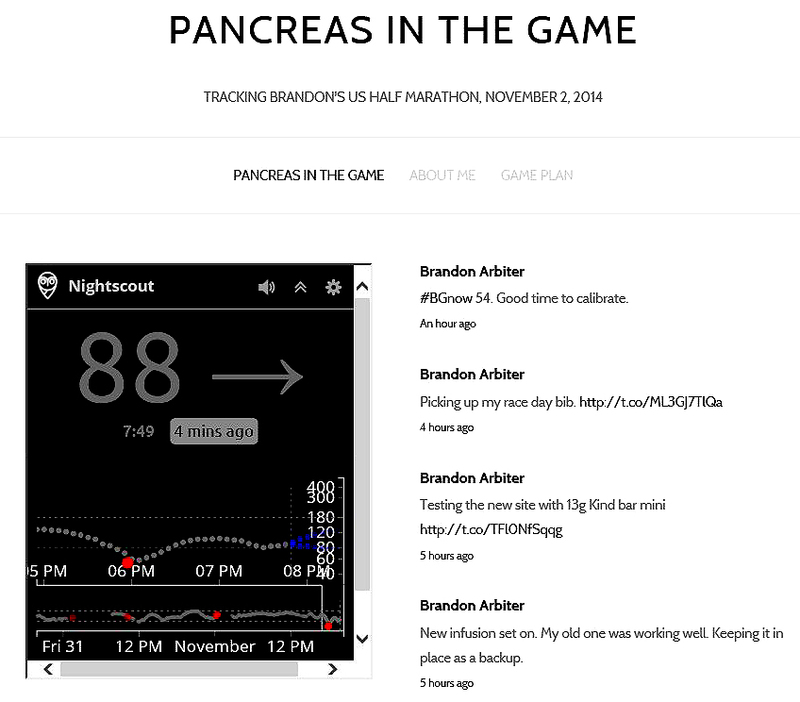 Tomorrow he is running his first organized 1/2 marathon … and you can follow his data LIVE, online at www.PancreasInTheGame.com … and it updates about every 5 minutes. He’ll have his NightScout rig strapped around his waist, giving him full CGM in the Cloud capabilities. He’ll monitor his BG through all 13.1 miles on his Pebble wristwatch. Check out www.Tidepool.org and www.nightscout.info for more information and/or to donate to these amazing non-profits, trying to make our lives a little (or a lot) easier!